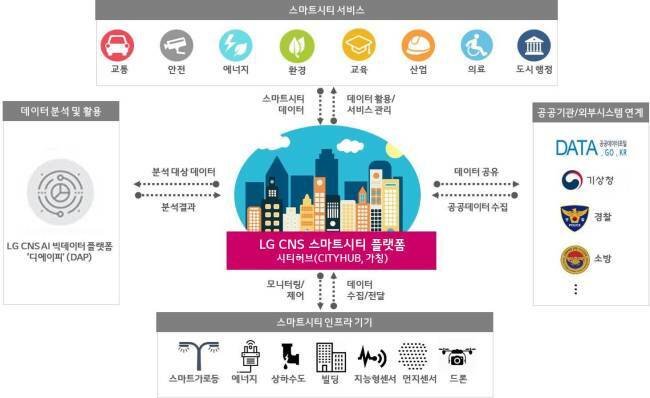 LG CNS, the information technology services unit of South Korea’s LG Group, announced Thursday the launch of a comprehensive smart city management platform that collects and analyzes data generated and sent by various city infrastructure via internet of things technology. Tentatively named “Cityhub,” the smart city platform collects data from IoT sensors attached on vehicles, buildings, transportation infrastructure and street lights. Such data can also be analyzed via LG CNS’ artificial intelligence engines to design, build and provide intelligent services, the firm said. Cityhub also boasts compatibility with a wide range of devices. The platform supports not only the international IoT standard oneM2M, but 98 other IoT standards used by specific industries such as logistics, manufacturing and distribution. For this reason, LG CNS expects the platform to serve as a united “control tower” for smart cities which monitors and manages IoT-powered services in various areas of importance including transportation, safety, energy and environment. 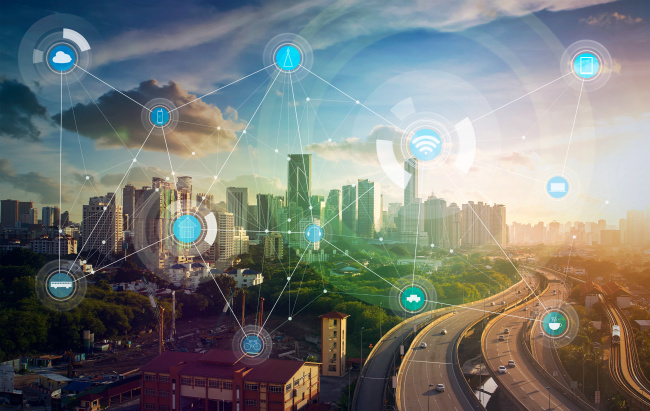 “With widespread connectivity, Cityhub can singlehandedly collect and manage IoT-based data from different industries, without having to develop additional platforms to account for differing telecommunication standards,” the company said. LG CNS expects to remain a forerunner in the realm of smart city management technologies, as it was the first private company to earn the Korean government’s smart city platform solution certification. The certification, issued by Ministry of Land, Infrastructure and Transport and Korea’s Telecommunications Technology Association, is required for companies seeking to supply their own smart city platforms and dependent services to government organizations. Previously, private actors wishing to provide smart city services to state-affiliated entities were required to develop them using government-developed platforms only. LG CNS is already participating in efforts to build high-tech cities across Korea, including smart urban planning projects with Sejong City, Jeju Island, Haenam County in South Jeolla Province and Magok District of Seoul.